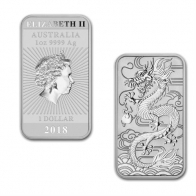 Newly released 1 Ounce Perth Mint Australian Dragon Silver Coin Bar. Mini-monster box of 200 pieces. 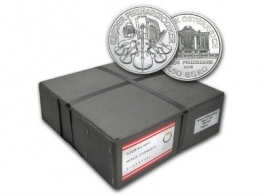 These special edition Australian 1 Ounce silver coins have been released in limited mintage of 500,000 coins. Below the image is the coin's face value and year of minting. 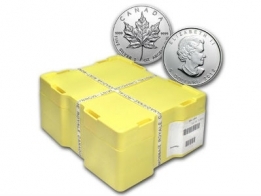 Each 1 Oz silver Dragon coin bar has a face value of $1 Australian Dollars. 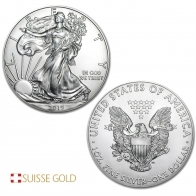 For clients wishing to purchase these silver coins in smaller quantities they are also available individually. Orders of 20 pieces or more will be delivered in plastic case, as shown in the image.